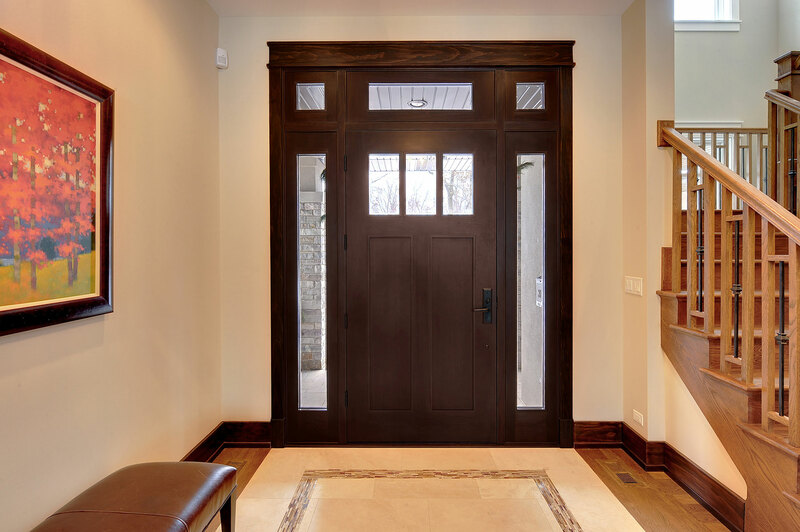 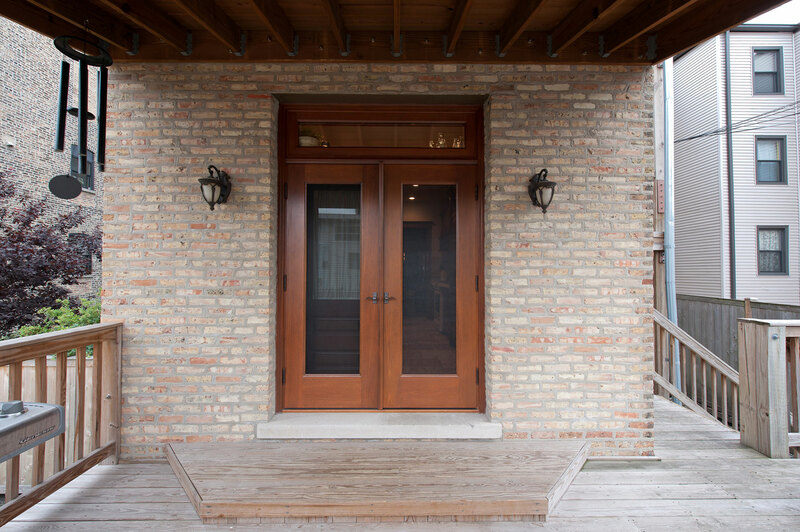 The Glenview Haus Craftsman Collection of front doors reflects the simplicity and quality of American arts and crafts movement, reflecting furniture makers such as Shaker, Stickley, and Mission. 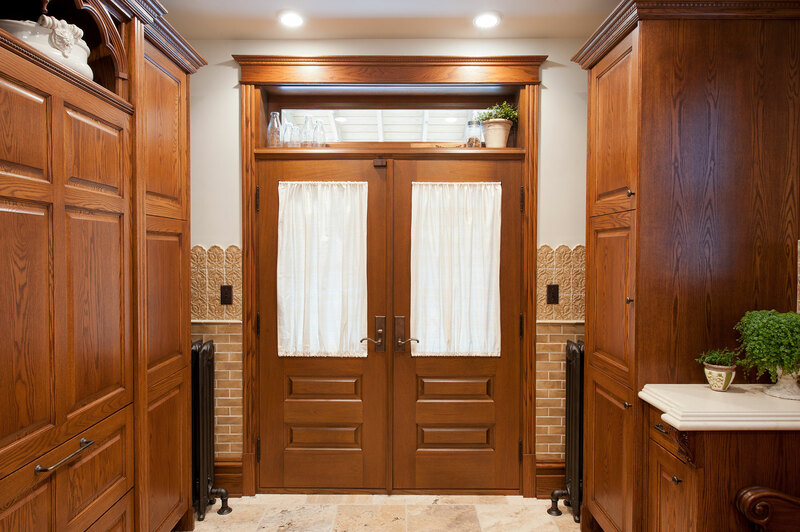 The solid wood doors showcase the smaller decorative, true-divided glass window with v-groove rustic panels, as well as alternatives like the flat Shaker style. 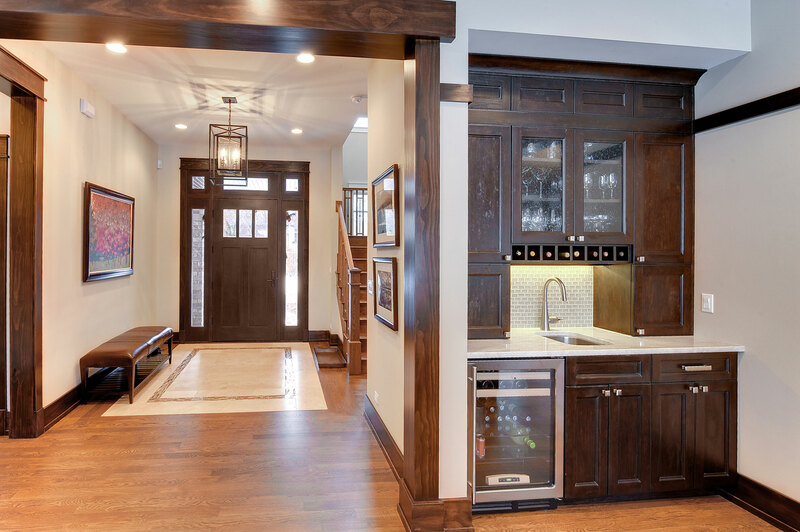 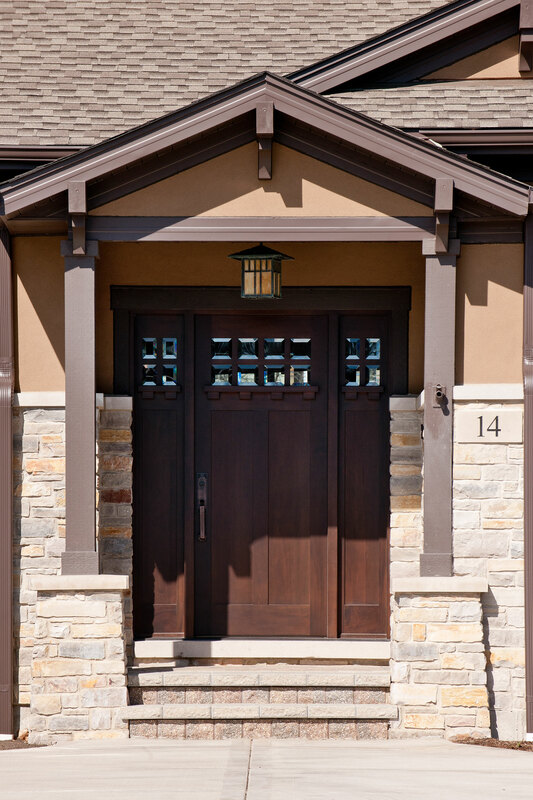 The Craftsman Collection of front doors enhances the style of homes from bungalows and cottages through their square edges, flat panels, and optional art-glass designs. 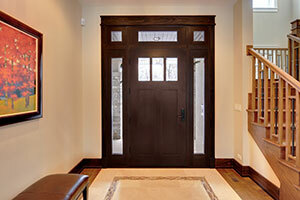 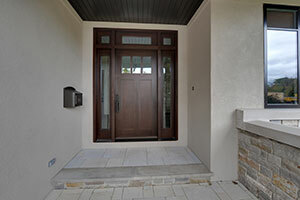 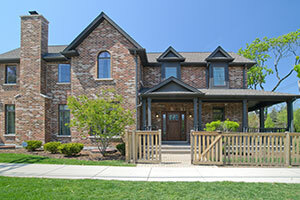 Glenview Haus Craftsman Collection of front doors stand out with their impressive style. 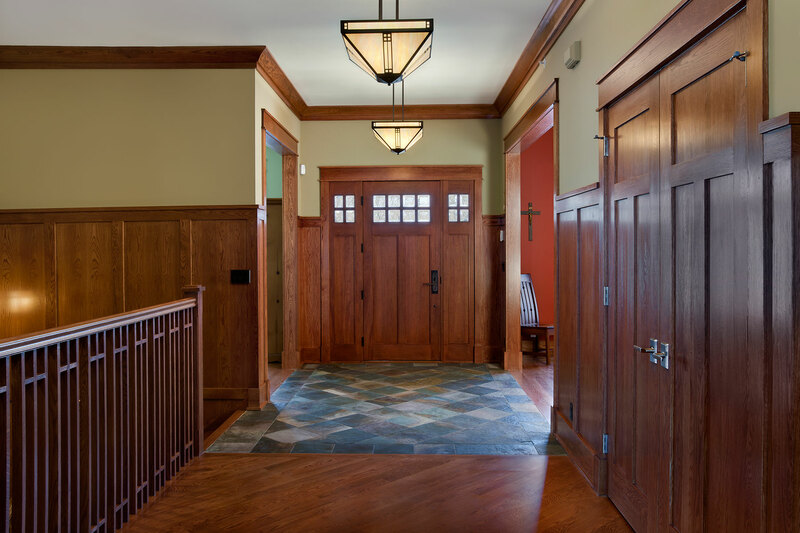 As a product of the American Arts and Crafts movement, the Craftsman Collection reflects the simplicity of the early 20th century with beautiful woodwork and stylistic flair. 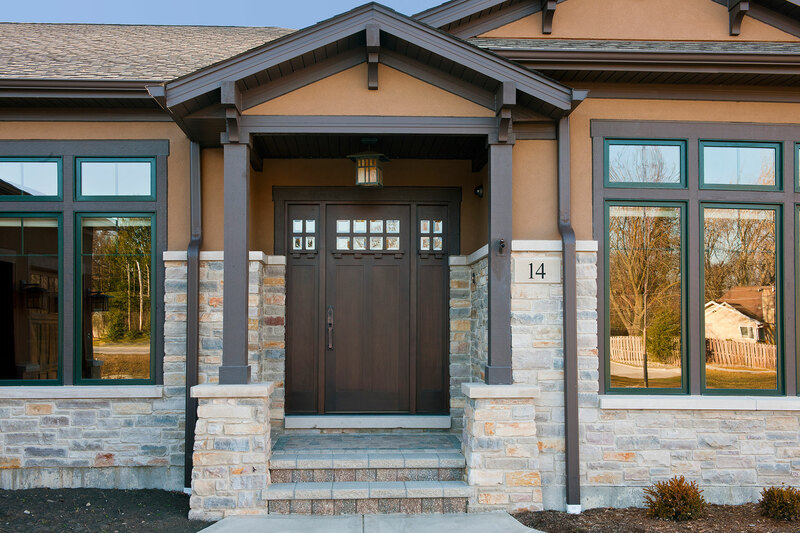 Glenview Haus’s craftsman entry doors come with the option of a smaller decorative, true-divided glass window as a quarter of a sidelight, true to the craftsman style, in addition to alternatives like the flat Shaker style. 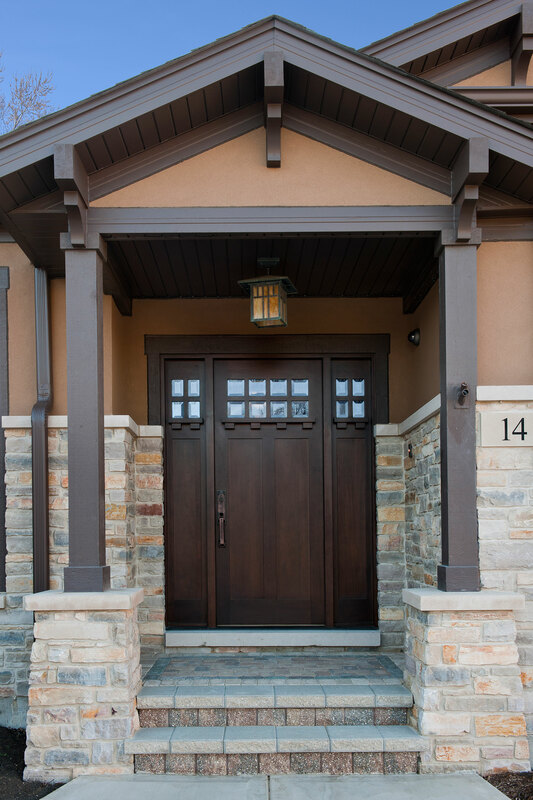 The Craftsman Collection of front doors enhances the style of homes from bungalows and cottages through their square edges, flat panels and optional art-glass designs. 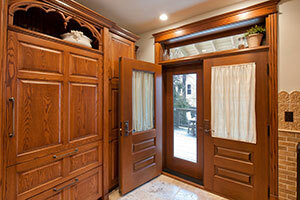 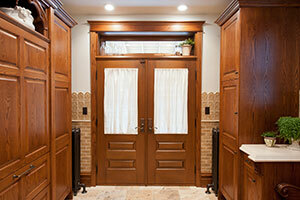 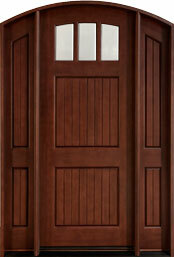 The Craftsman Collection is comprised primarily of solid wood front doors. 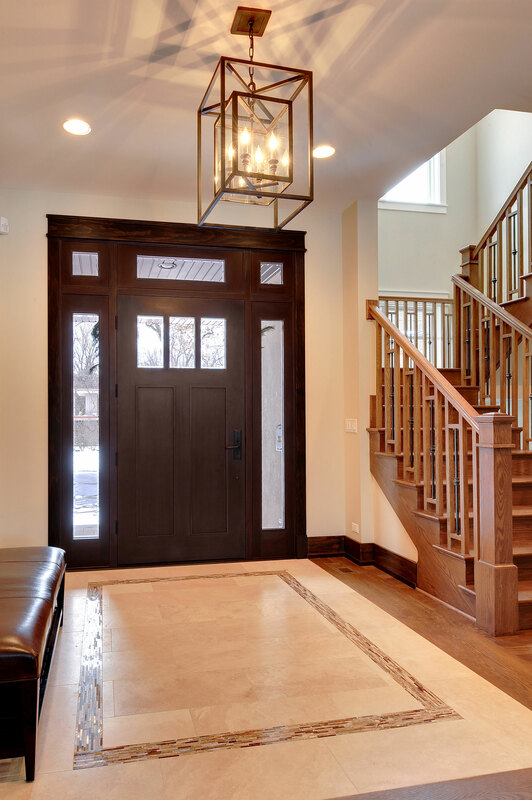 Glenview Haus engineered, wooden entry doors are crafted from a choice of some of the highest quality hardwoods such as Mahogany and Oak. Clients can customize their wooden front doors to create the door that best fits their needs, adding to the transitional style and design of these doors and invoking the perfect first-impression of their home. 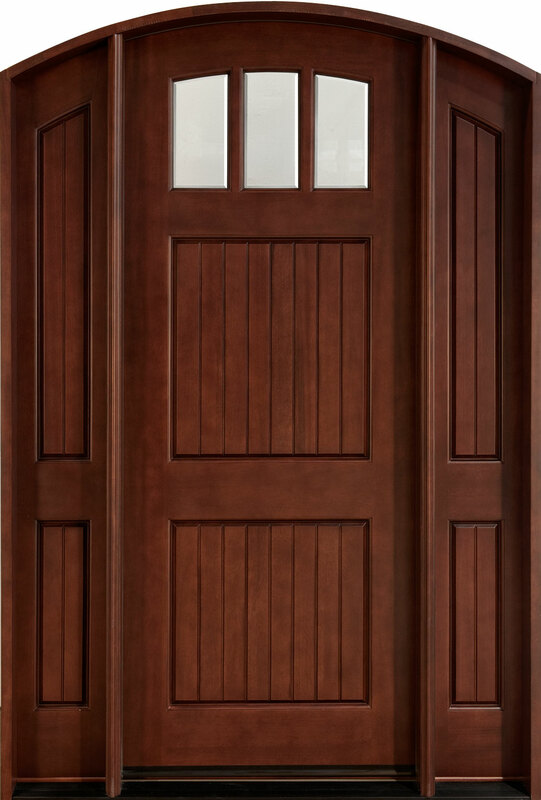 Encompassing expert craftsmanship, a proven and specially engineered design and a hand-applied, multiple-step finish result in doors of unsurpassed quality and beauty.